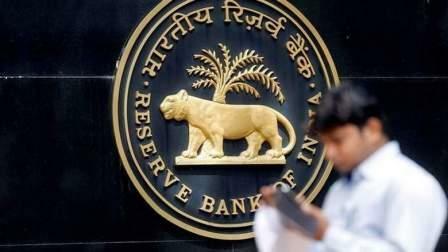 With latest macro-economic data showing inflation at a record low and fall in factory output, the Reserve Bank of India (RBI) is expected to reduce its repo, or short term lending rate, at its monetary policy review on Wednesday. At its second bi-monthly monetary policy review of the fiscal on June 7, the RBI maintained status quo on its short-term rate for lending to commercial banks, at 6.25 per cent. In doing so, the policy statement said the six-member Monetary Policy Committee (MPC) was guided by the risks to inflation. Retail inflation in India during June dropped to a record low of 1.54 per cent, while industrial production data showed that the growth in factory production fell to 1.7 per cent in May, from 8 per cent in the same month a year ago. Industry chamber Assocham on Sunday urged the apex bank to cut interest rates in view of the latest macro data. "Citing inflation at a five-year low and deceleration in the factory output, the Assocham has written to RBI Governor Urjit Patel, making out a strong case for at least 25 basis point cut in the policy interest rate when the RBI Monetary Policy Committee meets on August 2," an Associated Chambers of Commerce and Industry of India statement said here. "The wholesale price index (WPI) also eased to 0.9 per cent from 2.17 per cent. The case for rate-cut is additionally strengthened by easing of food inflation to (minus)2.12 per cent from 0.31 per cent. Good monsoon forecasts for the current financial year have additionally created a stance for further reduction in the food inflation," Assocham said. With inflation in India falling dramatically, British financial services major HSBC said cut in key policy rates is likely as the country's inflation differential with the world is normalising, inflation expectation is cooling and food prices are also falling. "All considered, we continue to expect a 25 bps (basis points) rate cut in the August 2 meeting. We expect the central bank to maintain its neutral stance, which we believe is consistent with moderate rate cuts," HSBC said in a research note. "We've said this before, and we have found new evidence since India may have already become a 4 per cent inflation economy," it said. June was the fourth policy review in succession that the MPC had kept the repo rate unchanged. Announcing status quo on the key interest rate, Patel said the abrupt fall in inflation in April "from the firming trajectory that was developing in February and March has raised several issues that have to be factored into the inflation projections. "Considering the high uncertainty clouding the near-term inflation outlook, there is a need to avoid premature policy action at this stage. Premature action at this stage risks disruptive policy reversals later and the loss of credibility." he said. The MPC has the mandate of achieving the medium-term target for consumer price index (CPI)inflation of 4 per cent within a band of 2 per cent either way. Since the MPC started setting rates in October last year, the June policy review was the first time it did not take a unanimous decision, with five members voting in favour of holding the rate and one opposing. The sole dissenting external member and IIM-Ahmedabad faculty Ravindra Dholakia voted for a minimum 50 bps cut in the repo rate. Three of the six members of the MPC are government nominees, while the others are from the RBI. Following the June monetary policy decision, Chief Economic Advisor Arvind Subramanian felt the central bank had overstated the risks on inflation, noting the inflation outlook has been benign, while growth in the economy has decelerated along with slowdown in private investment, credit growth and gross capital formation. "Seldom have economic conditions and outlook pointed so strongly towards monetary policy easing," he told reporters then. A State Bank of India (SBI) report said that most inflation risks are now on the downside and retail inflation is expected to be below 3 per cent for August-September, under 4 per cent for October-November, and between 4-4.5 per cent for December to March next year. According to an American expert, Indian policymakers would do well to target keeping annual retail inflation in the country in the range of 4-5 per cent without aiming to lower this rate significantly. "Many people in the advanced economies are saying we should have been at 4 per cent (inflation rate), and not be at 2 per cent, which was a mistake. There is a debate on," Professor of Economics at Harvard University Kenneth Rogoff told a news channel here, referring to the prolonged phase of low inflation coupled with low growth being experienced by Western economies. "I think that if a lot of countries were starting from scratch, I bet they would opt for a 3 per cent target," he said, adding that there were a "number of reasons for India, not to bring it (inflation) down too quickly."